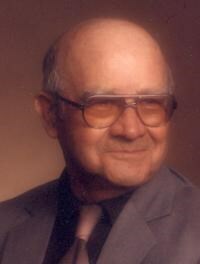 Glenn Sherman Bennett, 92, 403 Cottonwood Lane, died Tuesday, October 10, 2006 at Wellmont Hospice House, Bristol, TN. He was born Dec. 13, 1913 in Washington County., TN and he retired from ITT North Electric Company. He was a member of Avoca Christian Church, Bristol, TN. He was the son of the late Coy S. and Nellie Dove Bennett of Jonesborough. Mr. Bennett was preceded in death by his wife Pansie Barnett Bennett, after having been married for 57 years; also a brother, Niles Bennett and a sister, Mildred Payne. Mr. Bennett is survived by his daughter, Sandee Clyne, and her husband Alan of Piney Flats, TN; a son, Randy Bennett and his wife Jean, of Bristol, TN; a grandson, Christopher Bennett of Knoxville, TN; a half sister, Janice Vines and her husband Robert of Jonesborough, TN, a half brother Kenneth Bennett and his wife Barbara of Sarasota, FL; and a number of nieces and nephews. The family would like to express their appreciation to the staff of the Wellmont Hospice House for their kindness and care of Mr. Bennett during his illness. A graveside service will be held at 1 PM, Thursday, October 12, 2006 at Happy Valley Memorial Park Family and friends are asked to assemble at the funeral home at 12:30 PM and travel in procession to the cemetery. Mr. Bob Robinson will officiate. Pallbearers will be selected from family and friends. The family will receive friends from 6-8 PM Wednesday at the funeral home. In lieu of flowers, the family requests memorial contributions be made to the Wellmont Hospice House, 280 Steeles Road, Bristol, TN 37620. My deepest feelings are with Sandee, Alan, and the rest of the family. I met “dad” several times while visiting during race week. He was a wonderful guy and I never felt like a stranger when we stopped at his home. Celebrate his wonderful life and he leaves some terrific people he influenced. The greatest testimony I can give is how much I know those close to him loved him. Sandee & Randy, I am so sorry to hear your father has passed. Even though we think we are prepared, we never are. Always remember the good times and he will be forever alive in your hearts.